A/5 Vandana apts, Shree Mahalakshmi Clny, Near M V M High School, Off Veera Desai Rd, Andheri West. 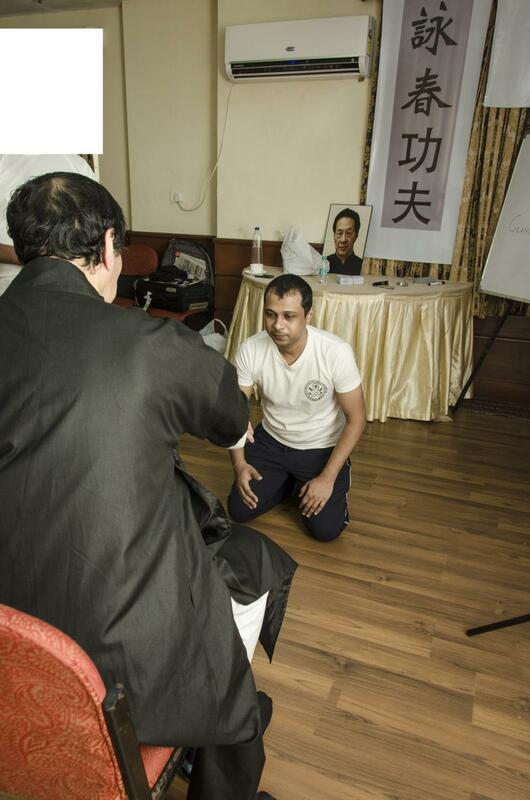 The student by undergoing Bai Shi has made a commitment to the school, to the founder, to his kung fu brothers and sisters as well as to his master. The master recognises this commitment by allowing the student to enter the door and in turn makes a commitment to give the student the true transmission of the art and to start to give him inside the door training. The student can now be referred to as "door person"(INDOOR STUDENT) and is no longer a mere student.﻿. The character for "Bai" symbolises two hands held down together. 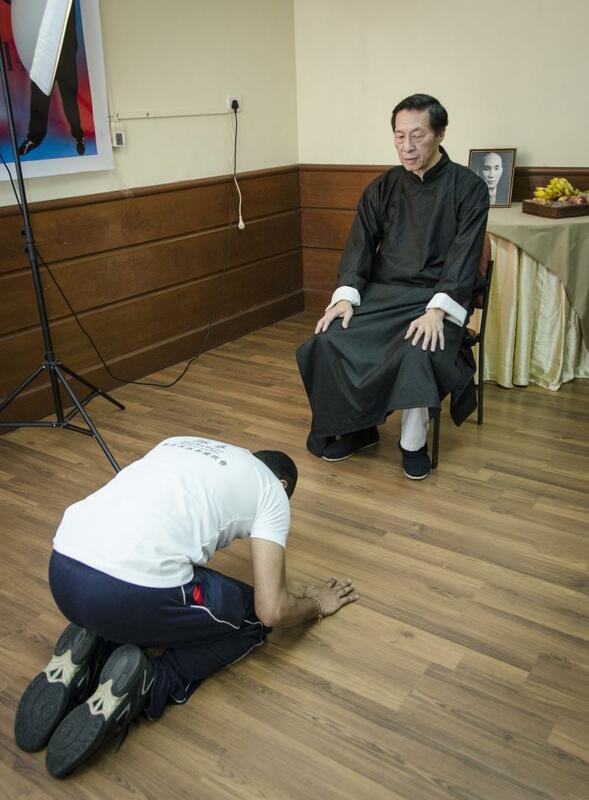 This is the pose adopted by Chinese when showing respect or reverence to the Gods,or to a superior in status such as a teacher; by extension it can mean to worship. 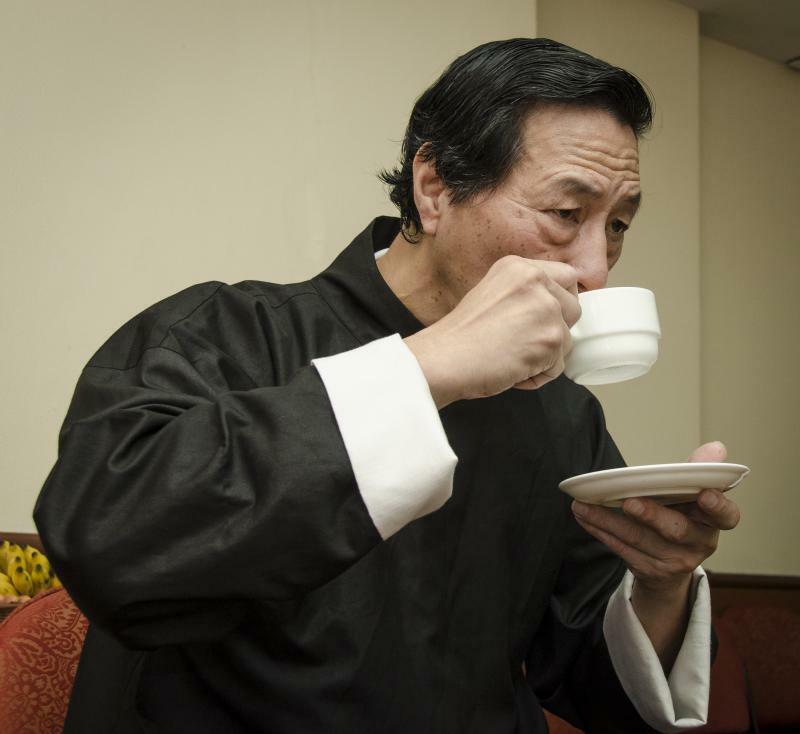 We know that in Cantonese "Sifu" is the formal term of address for an instructor of the Chinese martial arts (as well as for a skilled practitioner of any discipline). The Mandarin term is "Shi Fu". The character "Shi" is a drawing of one (the first) banner that stayed at the capital and by extension meant the one above the others and thus commander-in-chief, master etc.In the context of Chinese martial arts it is a ceremony with ritual elements conducted by a master in which one or more students "Enter the Door" and become disciples. After the conditions of Bai Shi have been read or told to the students, they agree to accept them and the ceremony begins. Normally this would be at the master's home or studio where there would be a portrait of the founder of the style. Usually, but not always there is a fee paid by the student traditionally in a red packet as red is a propitious colour and it is considered indelicate to display money openly. The master then places an offering of fruit in front of the portrait of the founder and lights a ritual number of incense sticks which he gives to the student who then kneels down before a portrait of the founder of the style and gives the koutou (literally knocks the head) three times to show his respect to the founder's memory. The student then faces the master and again gives the koutou. The incense is then placed in an incense burner in front of the founder's portrait. The ceremony is over; the student has entered the door. 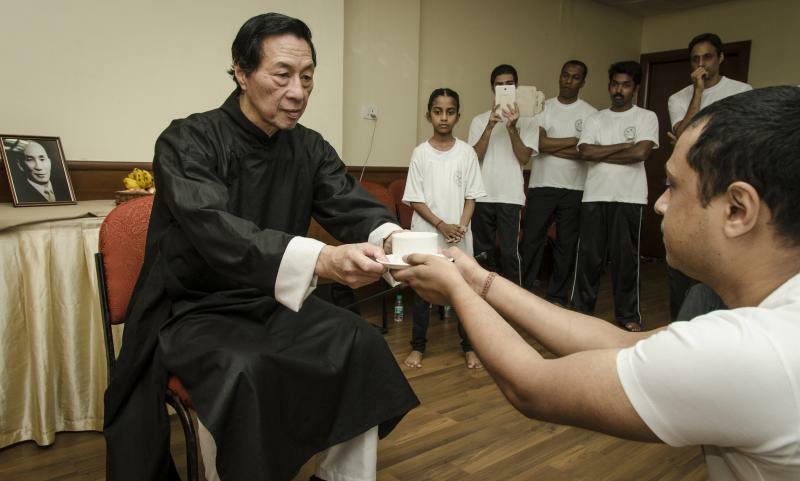 The Bai Si ceremony was held on the 20th of July 2014 in Mumbai, India in presence of his students. 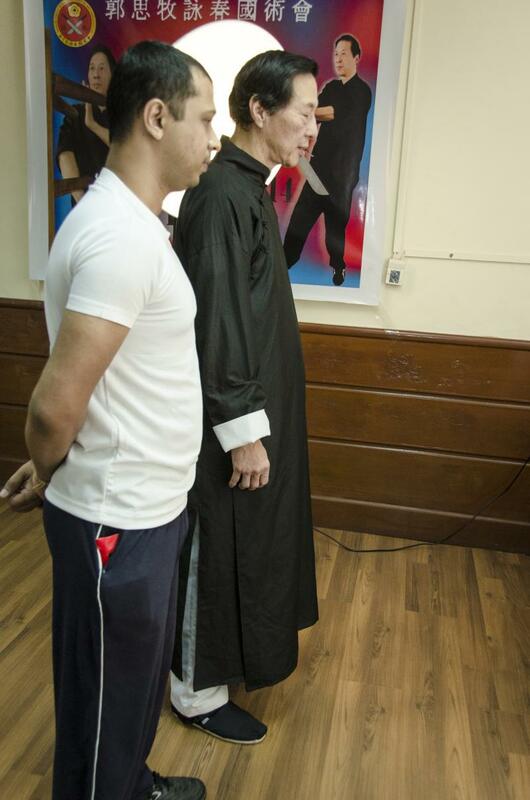 So henceforth Chaitanya R Naik will also be known as KWOK CHUNG LEUNG. I wish him all good luck with his new name. All rights reserved.copyright 2019 * ASSOCIATION IN INDIA is managed by ACADEMY OF COMBAT MARTIAL ARTS - India (Regd - BA 84469) Web Hosting by Yahoo!